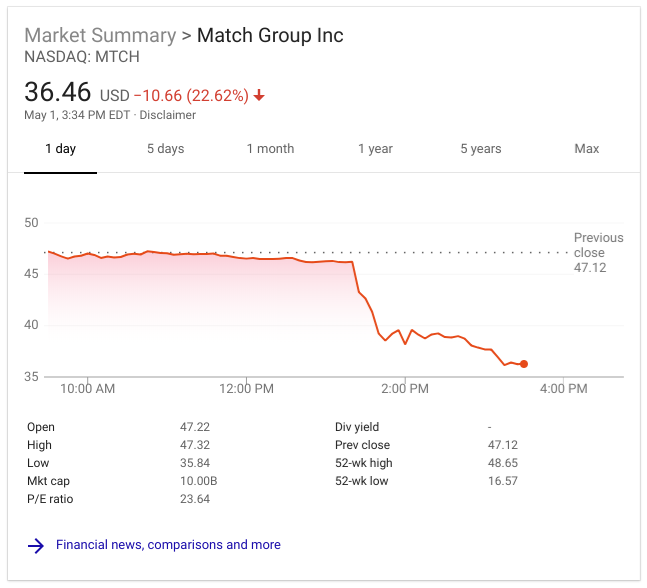 MTCH took a pretty sizable hit today. In addition to Tinder and Match.com, Match Group owns OkCupid and PlentyOfFish. A precipitous drop can be seen in Match's price chart beginning at 1:20 p.m., Eastern, right around the time of Facebook's announcement. The drop slowed about 20 minutes later, but the price has continued to fall, albeit more slowly. 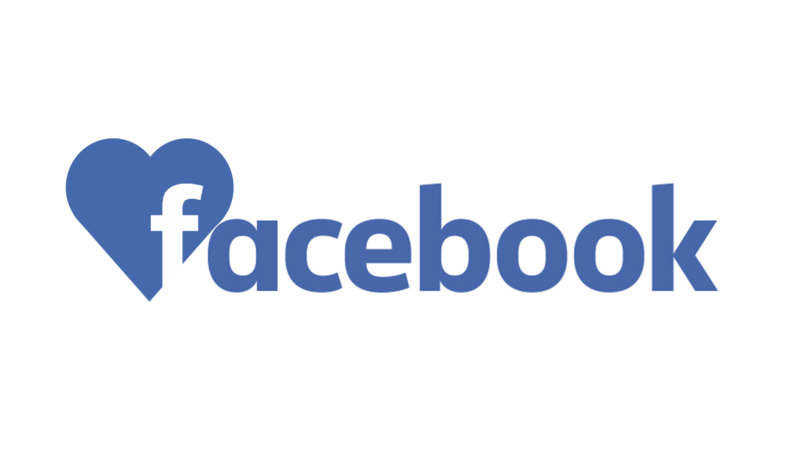 Facebook Dating profiles will be separate from regular Facebook profiles, and dating activity won't be shown to Facebook friends. Potential matches will be recommended based on a number of factors, including mutual friends on the social network. The service is still a while out; testing is set to begin "later this year."